Please join us as we welcome Kris Farnsworth to the Kansas City Modern Quilt Guild. Kris has been a graphic designer for more than 20 years and brings this wealth of knowledge to the art of quilting. He will be presenting basic elements and principles of graphic design, and how those translate into the quilting world. 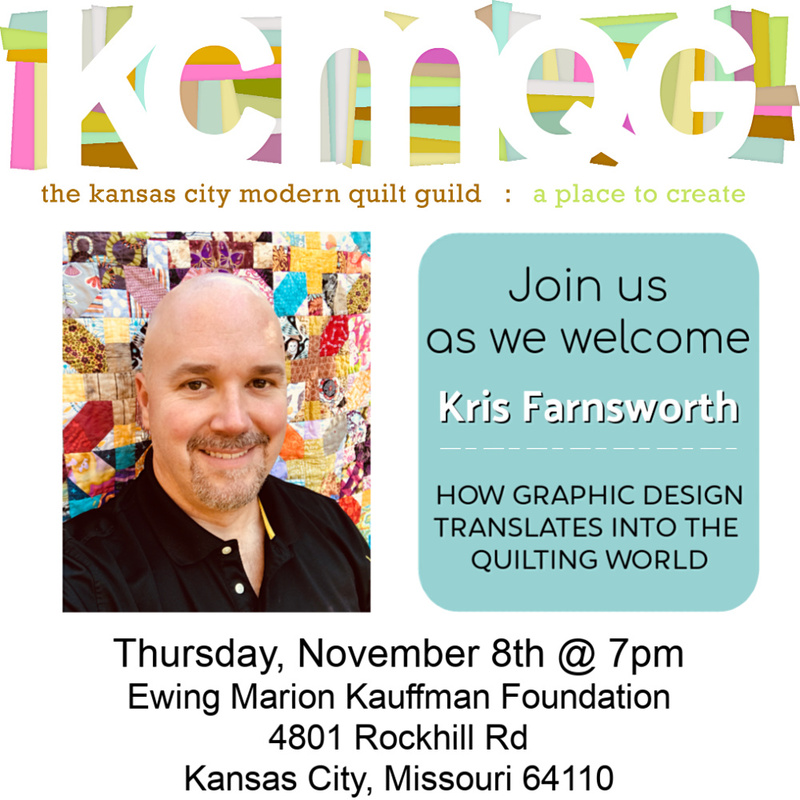 We hope you’ll join us for an informative and fun evening looking at quilting through Kris’ perspective... Doors will open at 6:30pm with the program beginning at 7:00pm.